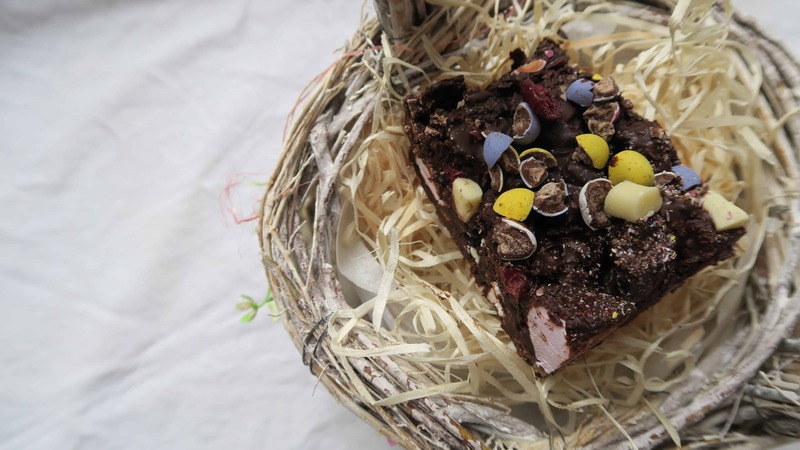 Easter and sugar have pretty much become synonymous with each other – it’s seen as a holiday filled with chocolate, gluttony, and making up for lost time with the ‘naughty’ foods you gave up for Lent. If you’re trying to eat less sugar, Easter can be a bit of a minefield, which is why I’ve been working on these gluten free mini egg rocky roads, which have all the fun of Easter with less of the sugar. Don’t get me wrong, these do contain (micro) mini eggs, chocolate, chunks of crunchy goodness, marshmallows and fruit, so they do have some sugar in them, but at 11.7g a bar, that’s a third less than a rocky road bought from, say, Starbucks or Sainsbury’s. These are also made with coconut oil (which, FYI, I picked up some pots of virgin coconut oil from Aldi for around £2.50 each!!) and dark chocolate, so they are full of healthy fats. I really wanted to add marshmallows to these and when I was shopping in Morrison’s, I noticed the Free’ist sugar free, gluten free marshmallows, and thought these would be perfect. I was really surprised when I tried them – they tasted just like normal ones! To get the biscuity crunchy that juxtaposes the marshmallows to perfectly, I used some of the new Nutribrex coconut and crispy rice. 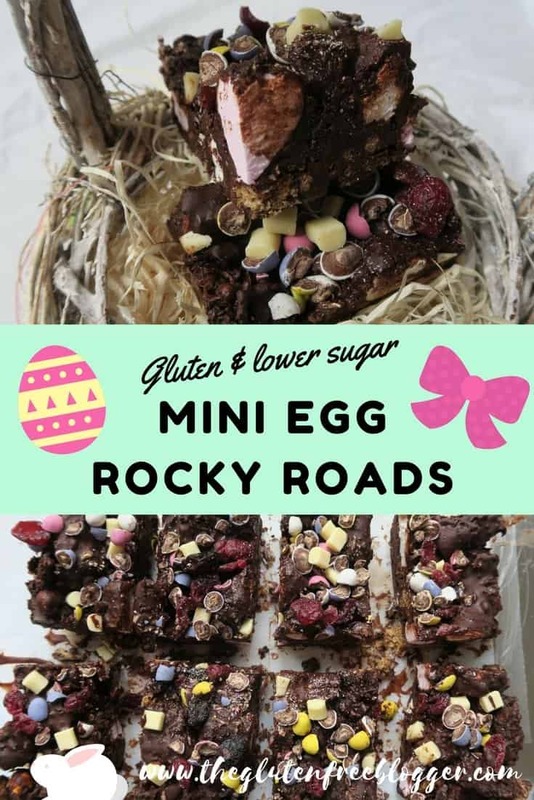 This stuff is SO good and is amazing to use in recipes – it worked really well to add a lovely texture to these rocky roads, and helped to keep the sugar content down as well. 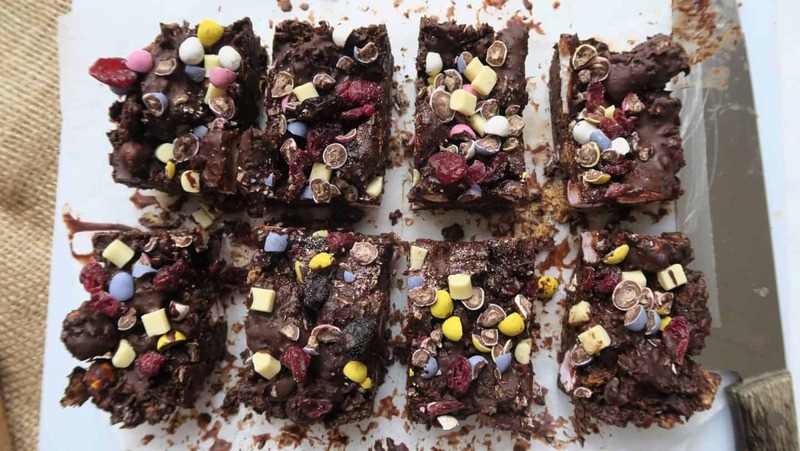 If you wanted to make this a lower calorie snack, you could also cut them into little squares, and have them more as bite-size rocky roads. I just wanted to be piggy and enjoy a big slab of the stuff! 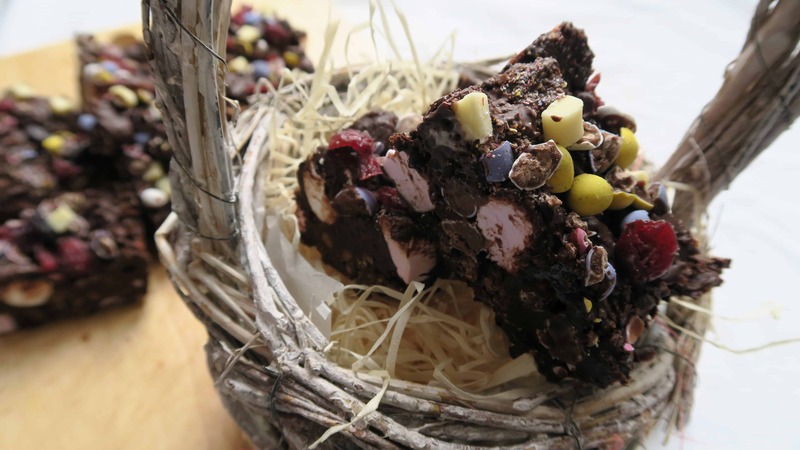 Gluten free and lower sugar mini egg rocky roads. Macros per bar: 372 calories; 16.8g fat; 25.1g carbs (11.7g sugar); 6.9g protein. Add 200g of chocolate (broken up) and 2 tbsp coconut oil to a large pan and slowly melt over a very low heat. Meanwhile, break up the Nutribrex biscuits into chunks. Once the chocolate and oil is melted, remove from the heat and add the biscuits, 3/4 of the mini eggs and the marshmallows. 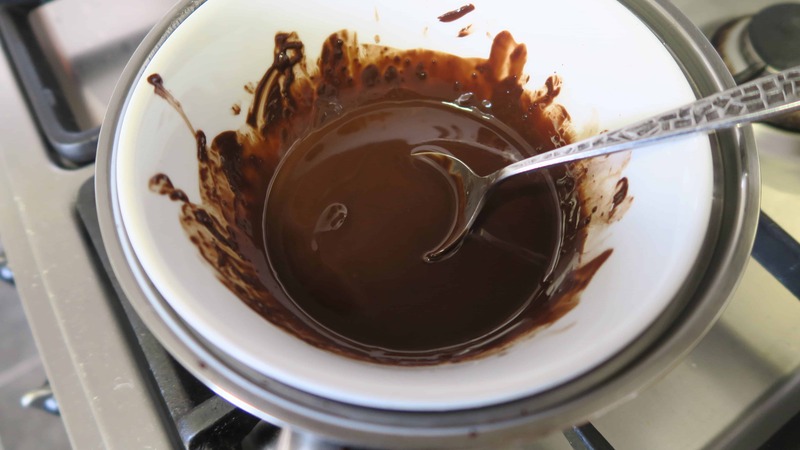 Stir well until everything is coated in chocolate. Pour the chocolatey mixture into a tray lined with baking paper. Press down and place in the fridge for an hour to set. 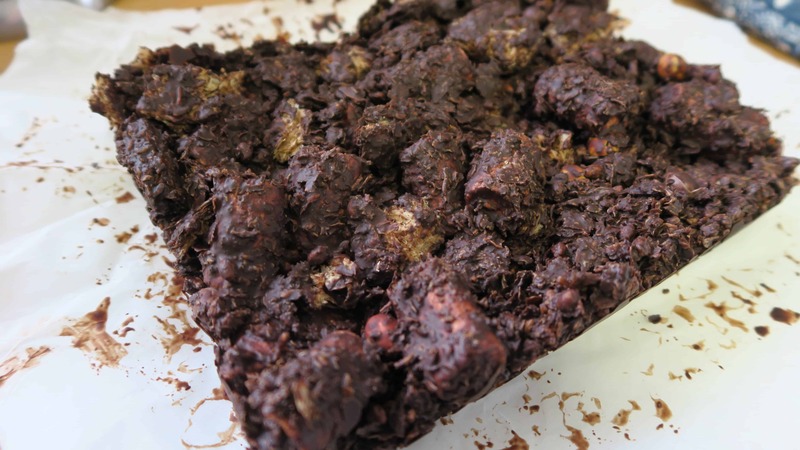 Once the rocky roads have chilled, take the remaining 70g chocolate and 1tbsp of coconut oil and melt in the same way as before, or in a bowl over hot water. 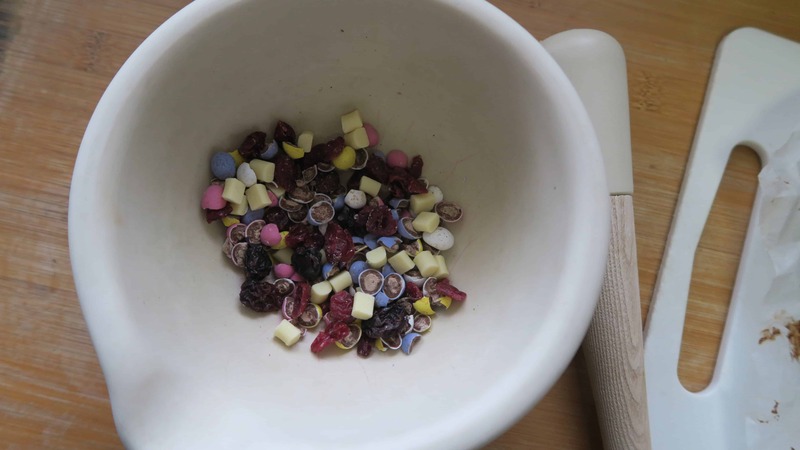 Crush the remaining mini eggs roughly with a pestle and mortar – you don’t want them too crushed, just broken up a bit. 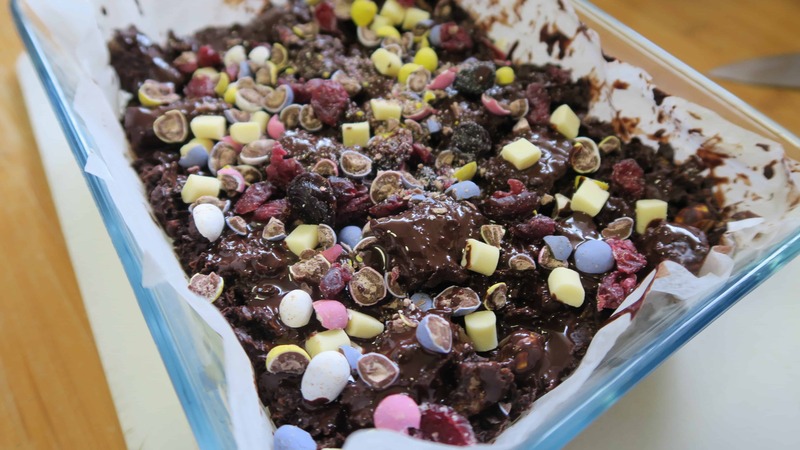 Pour the melted chocolate over the rocky roads, using a spoon to ensure even coverage. Then sprinkle the crushed mini eggs and Whitworths shot over the top. Place back in the fridge to set for another half hour to an hour, and then slice into eight using a knife dipped in hot water. This ensures it cuts through easier without crumbling the rocky roads. Enjoy! 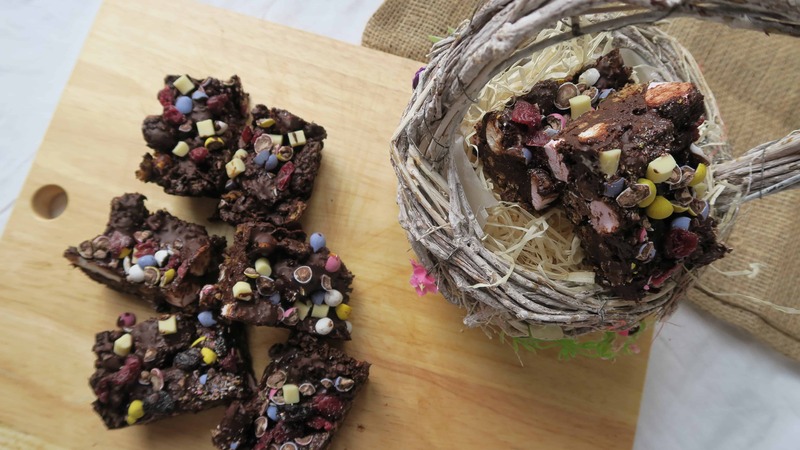 What gluten free Easter treats are you looking forward to making? Are there any recipes you’d like to try? Comment below with your thoughts or share them on my Facebook, Twitter or Instagram pages. I love mini eggs and these look incredible! I so have to try them! ?